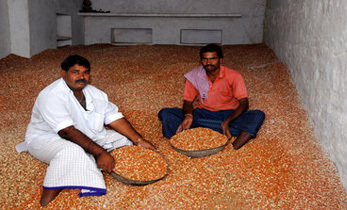 A dal mill (pigeonpea processing unit) and a sorghum processing unit has been set up to enable farmers in tribal areas of Telangana, India, enhance their incomes. The dal mill will fetch farmers a premium price of around INR 86 per kg instead of the farm gate price of INR 45 per kg as received by farmers during the previous season. The aim is to eliminate intermediaries and step up farmers in the value chain by enabling them to process their own produce. By establishing direct linkages with retail and corporate actors, an incremental price benefit can be realized in comparison with the traditional market prices. 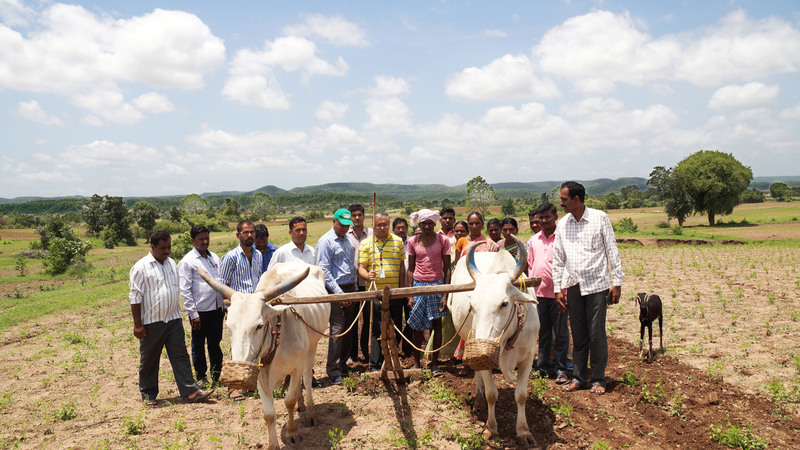 This would also groom the entrepreneurial skills of the tribal farmers in the region. 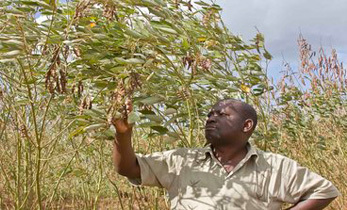 The dal mill will process around 80 tons of pigeonpea estimated to be harvested in January. The market facilitation would be done by ICRISAT. With an investment of less than USD 10,000 per mill, it is a viable solution for rural areas. During kharif (rainy) season of 2016, 2 tons of high yielding pigeonpea (ICPH 2740) seeds were distributed to 2000 farmers. These farmers were trained on best practices for pigeonpea cultivation. In addition exposure visits to ICRISAT were organized to address farmers’ queries on the challenges of cultivating pigeonpea. 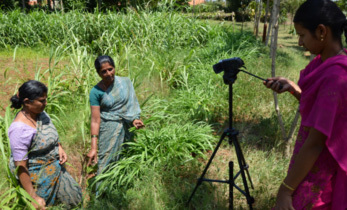 The crop production training at ICRISAT and in their respective mandals (smallest administrative area), ensured that farmers have a better understanding of the newly introduced pigeonpea hybrid in the region. Field visits were taken up by experts to provide timely support on fertilizer and pesticide usage as per field conditions. Similarly, around 9 tons of high yielding sorghum seed varieties, namely Moti, Vasudha and Revati were distributed during the rabi (post rainy) season of 2016. To capture the incremental price realization through primary processing, the sorghum processing facility will be used to make sorghum flour. This would reduce the drudgery of around 3000 women who use chakkis (manually operated stone mills) to make flour. 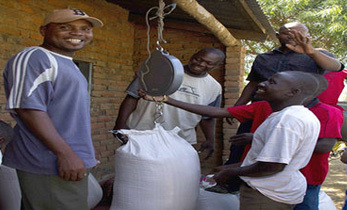 Since sorghum is a staple food in these areas and consumed in various forms as flour, broken grains and as porridge, farmers can use the sorghum flour also for their own consumption. The sorghum production is estimated to be around 60 tons and the flour will be marketed with support from ICRISAT. The dal mill was inaugurated on 11 January, by Mr Harish Rao, Minister for Irrigation, Marketing and Legislative Affairs, Telangana at the Indira Kranti Patham Mandal Samakya Office, Wankidi. Commending the project’s activities and the Integrated Tribal Development Agency (ITDA), Utnoor, for their commitment toward the welfare of tribal settlements, Mr Rao said, “This mini dal mill facility enables tribal farmers to engage in post-harvest value addition of pigeonpea, thereby receiving more equitable returns by commanding premium prices. The facility also aids in employment generation within the region, reviving the village economy.” Mr Rao was keen to implement similar projects in the remaining districts of Telangana. A second dal mill and a sorghum processing unit would be established under this project, in Thiryani and Wankidi mandals respectively. The processing facilities are being implemented by ICRISAT-Agribusiness and Innovation Platform (AIP). 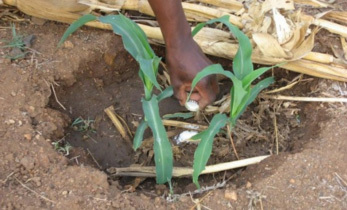 The overall aim of the project is to enhance income levels of farmers through adoption of better cultivation practices; enable improved access to new seed varieties, inputs and services that foster technology penetration; improve productivity; introduction of post-harvest technologies and providing market linkages to strengthen sustainable agriculture based livelihoods in the tribal mandals of Thiryani, Wankidi and Kerameri. Project: Sustainable Agricultural Development through Value Addition and Linking Tribal Farmers to Markets in Adilabad district of Telangana - Transitioning Tribal Farmers from Traditional to Modern Agriculture; Vanabandhu Kalyan Yojana. 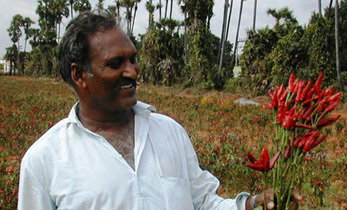 Investor: Integrated Tribal Development Agency (ITDA), Utnoor, Adilabad district, Telangana, India. Partners: Government of Telangana, Agribusiness and Innovation Platform, ICRISAT and partners. value chain has lot of potential for enhancement of income.